She comes from the Brazos Valley in Central Texas. After moving to New York she made herself a name as a talented songwriter. After recording a couple of albums, she went back to Texas. For this fabulous CD she hired renown producer Chris Blackwell and a stellar group of players. Mostly originals, some hand-picked covers. Great, great album! - Digipak. RUTHIE FOSTER - voc/acoustic gtr/electric gtr/Wurlitzer, ROBBEN FORD - gtrs, JIM DICKINSON - org/pno/Wurlitzer, LARRY FULCHER - bass, ROCK DEADRICK - drums. 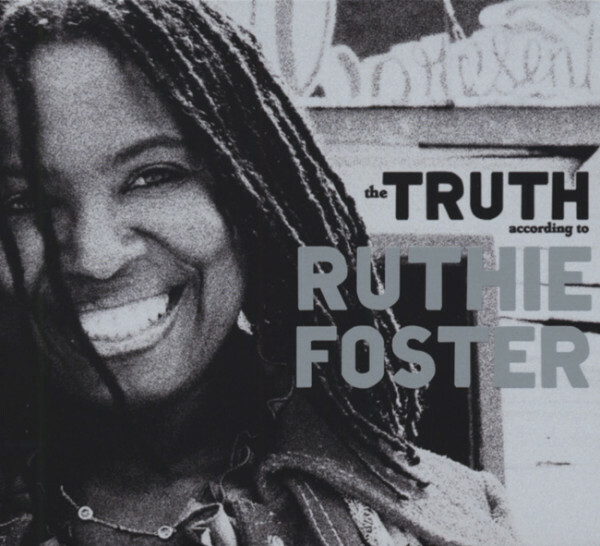 Customer evaluation for "Truth According To Ruthie Foster"